First Line:"Bridget stared at the clock on the wall and cursed its painfully slow progression toward three fifteen." Review:I was expecting a completely creepy read I mean look at the cover and the title, demons and exorcisms screams horrifying but what I wasn't expecting was quite a few funny moments which actually made me enjoy Possess that much more. Bridget is a pretty amazing girl, to wake up one day and learn you can banish demons is pretty crazy but the girl was strong and did her thing when it came to getting rid of the demons. I'm glad that the author gave us an explanation on why she was able to banish demons and there was a back story to it instead of her just being blessed with the gift or something. There was romance but believe me when I say it was the furthest thing from any sort of insta love, like etc. Bridget literally wanted to be left alone by everyone including Matt who was a childhood friend of hers, which is why when she finally did fall for him it just made it that much sweeter. I do have to say that there were some aspects of Possess that was predictable which is what kept me from giving it a full five star rating but the plot was fast paced and a lot of interesting things happened along the way. 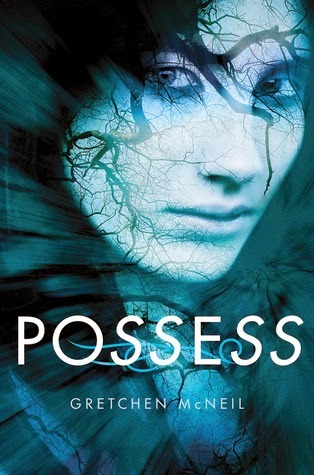 Overall Possess was full of demons, exorcisms, possessed dolls, priests with hidden agendas, mystery, romance and a spunky heroine and if your looking for a book with all that then I highly recommend Possess. ~Wow, did she really just explain her freaky new exorcism skills as "this thing I can do"? Like she was going to tie a cherry stem into a knot with her tongue or show off a double-jointed thumb?